Big Blue Films is An up-and-coming film production company based out of South Florida that tells nuanced and personal stories centered around the human condition that connect with audiences worldwide. Charitee is a platform that looks to connect the modern donor with their local charities by matching donors to charities based off of their morals and other values which are derived from a short questionnaire. Charitee will provide donors with information on their matched charities such as their mission, a calendar of events, news feed, pictures, and more that is updated by the charity itself. Charitee aims to become the primary social media platform for all charities and other nonprofits worldwide. ConsiderParadise: Purveyors of Unique Barware was started as a response to the lack of beautiful entertaining home bar sets. Each home bar set is originally designed and has a unique theme. We are also a source for cocktail and mocktail recipe e-books that every passionate mixologist should study! Diatech provides innovative approaches to create and implement novel systems that optimize insulin pump technology for patients with type 1 diabetes. 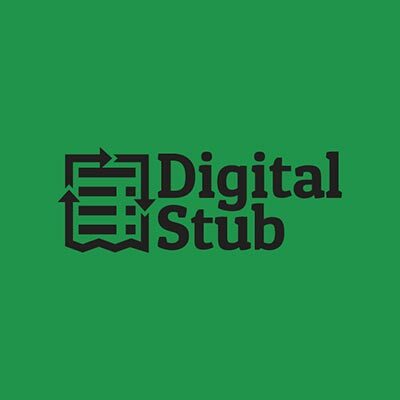 Digital Stub, a software-based company that will eliminate paper receipts by introducing an integrative software that allows customers to have a categorized log of itemized receipts while allowing business to track consumer buying habits/returns. We seek to launch in the Tallahassee area focusing on local coffee shops and universities. Our goal is to replace receipt printers in all retail stores with our application, in order to eliminate the function of texting and emailing receipts. With Digital Stub everything will be categorized and organized at the customer’s convenience. Digital stub is a fast and cheaper way to track purchases and receipts. Saving the world one receipt at a time! Gabe Jordan Custom Clothiers sells high-quality custom dress clothing that is superior to a majority of department stores at a more affordable rate. At Gabe Jordan Custom Clothiers, we not only focus on our product but also on the service aspect as well. The first part of our service is our valet system. We allow you to pick the location of your fitting, whether that be your home, workplace, or one of our offices. Next, we give a wardrobe consultation to help the client decide what they need. Once the client decides what garments they would like to purchase, we have them peruse our massive collection of fabrics. After, the client will customize all the aspects of their garments. We’re here to walk the client through every step of the way. We teach and educate about certain styles and their functions to build confidence in our client. Gifts for Confidence is a 501c3 Nonprofit dedicated to empowering girls globally through trade-skill education. The first program is an after-school sewing program located in Awassa, Ethiopia that has been running for three years with international oversight. Gifts for Confidence sells scarves and other goods made by the girls in the program to support the sewing program and foster micro-entrepreneurship for the girls. Gleauxx is a haircare company that offers an individualized, effective and efficient way to find products that are tailored to the specific needs of each costumer. Gleauxx is dedicated to providing quality products that are made to improve the overall health and quality of the hair. Gleauxx strives to give their customers the confidence to fully embrace the true essence of their beauty. Gusto Ventures artfully combines improv acting with existing technology to create a wireless, goggle-less mixed reality experience. Without the burden of awkward headsets, guests can explore virtual worlds, and interact with both their friends and the characters in these worlds. With multiple packages, ranging from mixed reality themed adventures, to themed birthday parties and facility events – Dream Infinity is the entertainment destination of the future. Homestead Digital aims to streamline real estate marketing by bringing properties into the cloud with our easy to use 360 scanning and implementation system. Immersive 360 content is cross-compatible with nearly every device that has a web browser — no extra app needed. With just a smartphone, users can capture and upload their properties to our custom platform for interactive viewing although a professional end-to-end photography package is also offered. 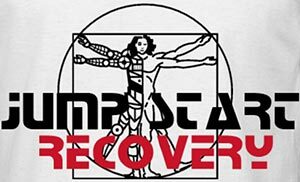 Jump Start Recovery revitalizes the RAPID RECOVERY experience. We integrate machine learning and data analytics with therapeutic devices, to deliver a superior rehabilitation platform for elite, endurance and competitive athletes. JSR provides a tailored analysis and personal assessment of each individual athlete, allowing for a more informed and intuitive recovery experience. Consider the hawk. Sharp eyes that see outside the range of human vision. The skill, rare in the animal kingdom, to invent novel ways to capture prey, rather than relying on the status quo. A dogged hunter, never resting until he makes the kill. A “Keaton” in medieval England referred to a place for hawks, literally an incubator of forward-looking and innovative instinct – just the kind of instinct today’s enterprises need to achieve their full potential. Welcome to Keaton Prospectives, a team of social media developers with our hawk eyes trained on your success. We understand that maintaining a consistent and compelling social media presence is a big ask when you are running a business. Establishing a strong virtual presence, however, is no longer a luxury; it’s a must-have for companies of any size. And simply handing your Twitter handle or Instagram page to an intern is unlikely to get your company the attention it deserves. You need to find a partner with the right expertise to transform your digital brand. At Keaton Prospectives, we have the skills and savvy to capture the essence of what makes your organization unique, identify the audience and platforms you need to target and bring your story to existing and potential customers in an engaging way. Content that grabs eyeballs, but also converts followers into customers; a strategy that strikes the right balance between organic reach and paid campaigns. Never settle for the status quo – fly with Keaton and build a digital presence that will take your business to new heights. Melting Mountains is a food company that produces energy bites for the active and adventurous lifestyle. Each purchase helps fund a mission work which aims to provide food and water supplies to impoverished communities around the world. The mission of Pierced Perfect is to eliminate skin infection caused by earrings and allow women and men to wear the styles they love no matter what their jewelry’s made of. 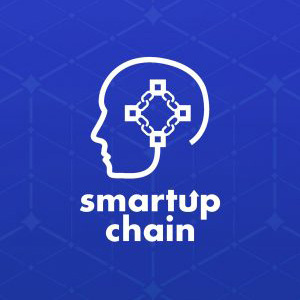 Smartup Chain is building a platform that offers a new form of equity crowdfunding by utilizing blockchain technology and smart contracts to reduce risk, increase trust, lower fees, and provide transparency to the crowdfunding process. 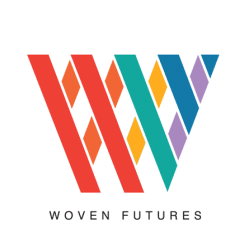 Woven Futures is redefining the way fashion is carried out. We partner with local indigenous artisans in Guatemala to design and craft naturally made fashion items that are 100% eco-friendly and organic. Our mission is to preserve culture and empower the women behind these unique products while sharing them with the world.